University of New Mexico students, alumni and community members can connect with representatives from graduate and professional programs from New Mexico as well as schools from across the nation at the UNM Graduate and Professional School Fair, scheduled for Thursday, Oct. 2 from 9 a.m. to 2 p.m. in the UNM Student Union Building Ballrooms. For those thinking about graduate or professional school this is a valuable opportunity, wth more than 60 schools registered, people can meet with recruiters and discuss a wide range of graduate issues including programs of study, admission requirements and financial assistance. 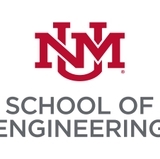 For an up-to-date detailed list of registered schools visit the UNM Office of Career Services or call the office at (505) 277-2531 for more information. In addition, UNM Career Services is conducting a series of workshops to help prepare individuals for the Graduate and Professional School Fair. 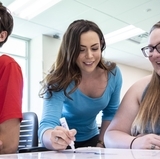 The workshops cover various graduate and professional school topics such as deciding if graduate school is right for you, the application process, as well as the academic job search. For a complete list of workshops visit the website.